Ideal for service counters and assembly lines. Attractive long lasting durable surface resists common chemicals. Custom lengths up to 60'. 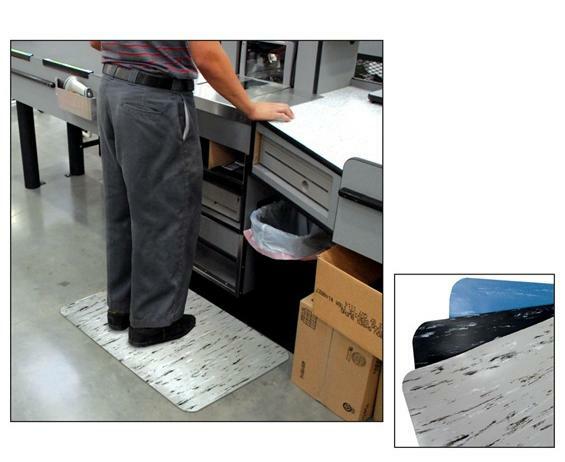 A marbleized PVC surface is bonded to a closed cell sponge base for maximum comfort. 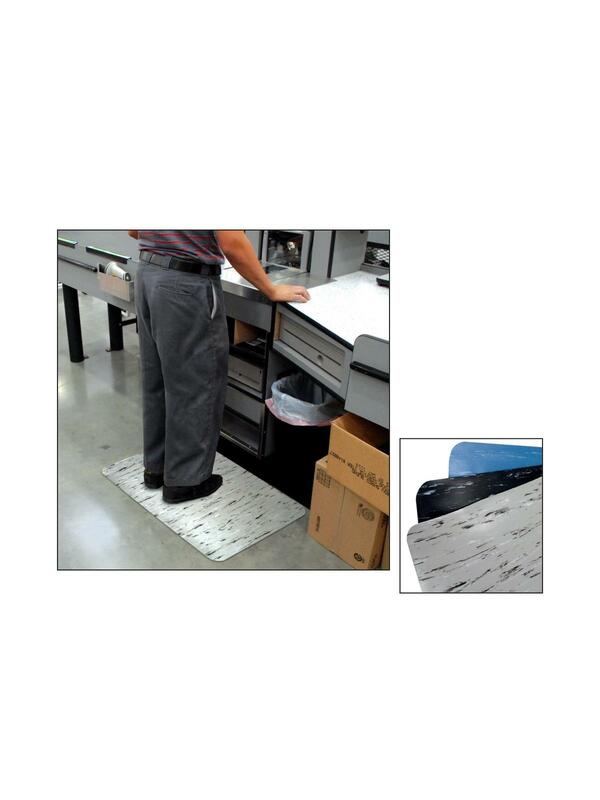 Easy to clean surface allows for use of common solvents and chemicals without causing damage. Edges are beveled for safety. 1/2" thick. Not guaranteed against damage from high heels, casters or stool legs. Available in Black/White, Blue and Gray/Black/White. FOB Shipping Point. See Related Items tab Marbleized Cushion Matting.